Rachna says is turning 10 today. I can’t believe that I’ve been writing non-stop for 10 years now. She came into my life at a time when I was experiencing a personal low. My older son was suffering from typhoid and the younger one was just a tiny tot. I had quit my job and was feeling quite sick and worthless being ‘just’ a parent. Out of boredom, I thought of writing my thoughts in a blog which I heard was like a web journal. I had zero understanding of what a blog was back then and just wanted a handful of close friends and family to read. 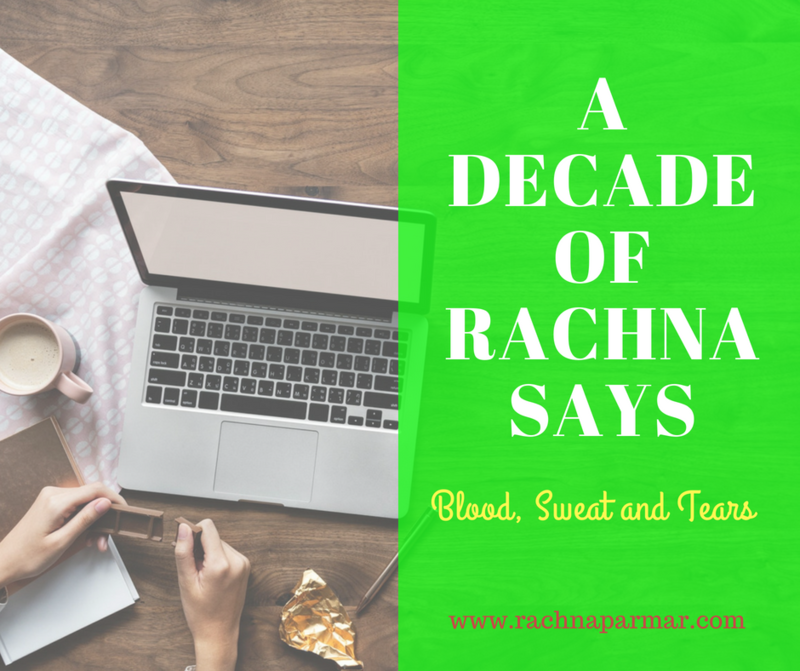 Ten years later, I can’t believe where I’ve reached, how much I’ve learned, the recognition I have gathered and a brand new career I’ve launched all courtesy Rachna says. Yes, it has been a lot of hard work and some talent, but most of all the love, support and best wishes of family and friends. I am eternally grateful for the friends I have made in this journey. 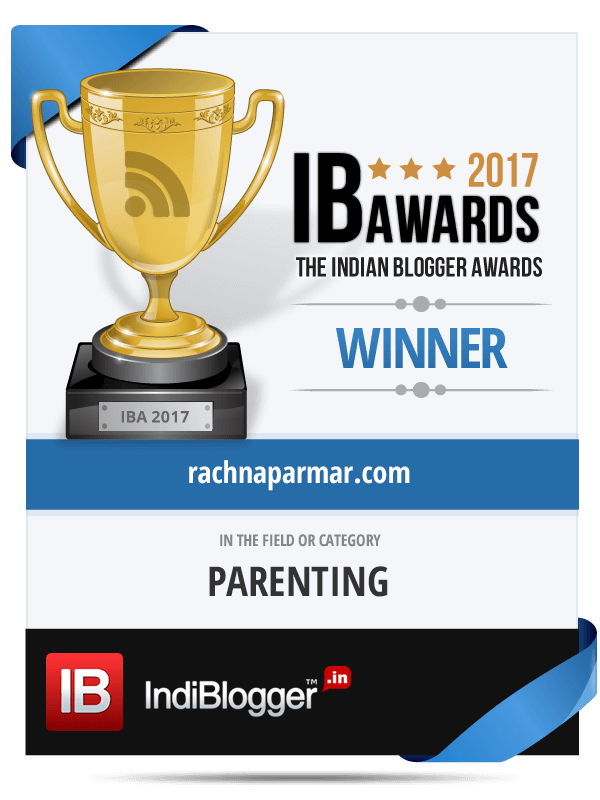 A special word for Indiblogger for being one of the nicest blogging communities, so open to feedback and many of us can credit them with providing us an amazing platform to connect with other and share. Thanks Renie, Anoop and the entire team for the great job that you continue to do. So in today’s post, I am sharing a few thoughts about Rachna says from my family, friends and special blogging mates who have been with me for most part of the journey. Wow! It’s the tenth anniversary of your blog, already? How time flies. It’s just like yesterday that I had asked you to start a blog to record the little nothings of Gautam. It is amazing where your blog has reached from that stage. Every year it has grown from strength to strength solely by your unwavering dedication in growing it. It is like your fourth baby. You’ve nurtured it like your other babies. And the result hasn’t disappointed in any way. Keep it up!!! So what does Rachna says mean to me? Quite a lot. This is the blog that got me worked up to start blogging. Over the years I’ve got so much pleasure in reading things from mom’s point of view and so many precious memories are stored here. This blog means a lot to me. It’s been an amazing 10 years! Wow! This blog has already become 10 years old. It was created by my mom when I was less than 2 years old. Only about 3 to 4 years back, I started reading it. I loved it so much. Then whenever there are no new posts I would ask my mom to write a new post. Even I have grown up so much now. And the blog has become so popular. I think my mom has done an excellent job. Dear Rachna you started blogging as a hobby. You always had a thinking mind and an opinion on everything. Your blog gave you the platform and in no time you have a loyal and discerning following. We all feel so very proud of your writing and various awards that you have so deservingly bagged. Many congratulations on the 10th anniversary of your blog. May you scale new heights! I still remember the day you shared idea of writing blog and now it is 10 years since your blog is live. Wow! Keep going girl. You are as versatile as your writing. The excellent use of language and putting thoughts in a bold way is something amazing about your writing. I like your parenting blogs the most, may be because I know how hands on parent you are. I have seen you growing as writer and often read your blogs. Your knowledge on various topics and your effort behind research is commendable. I wish you many more years of success ahead. I would also like to congratulate Gurdev for his continuous support. Rachna Says, for me is a mix of personal experiences as well as viewpoints of life in India. For me as a foreigner, I read lots of stuff but I don’t have an inkling about what it’s like to live there. Outside of holidays, I’ve lived in Indonesia and China, and that’s as far as it goes. However, I do know you guys personally. So once you wrote for instance about the boys heading to school, and Gautam was still pretty young. So you posted a pic where he takes Sid’s hand and they walk out of the street. I remember it vividly because I didn’t have kids yet and I found it quite unique and overwhelming. Congratulations and a big hug to you on your decade-long blogging journey, Rachna! I am so glad to have known you for eight of those ten years! I remember coming to your blog first after seeing your comment on some other blog. That is one of the things I love about you. You not only write incisively and honestly but also comment meaningfully, not hesitating to call a spade a spade! Once I came to your blog, I stayed as one of your loyal readers. Seeing you go from strength to strength, with your cookery and travel blogs, becoming a businesswoman even as you don so many hats with panache makes me so proud of you, as one would feel about a loved one. Here’s wishing you many more decades of success, not just in blogging, but in every venture you undertake! A decade in blogging and I can’t think of anyone more deserving. You are focussed, disciplined, and hardworking. Your posts are relevant to our changing times, and you’ve even managed to craft a food blog as well. You sure you don’t have any elves working in your backyard? None the less, this is an admirable feat to have sustained for this long and not let the quality of your words dwindle. I am doffing my bonnet to you. I also am one of the few lucky ones who got the chance to meet you and well, more fortunate than most because we met on foreign shores, too. Having known you for as long as I have been blogging and starting off on the wrong foot, only to find the right one, I am so glad I did. You are warm and honest and the kind of person I am honoured to call a friend. I know you got my back, and in this digital world, that has a genuine old world charm. So, here’s wishing you a decade more of love, happiness, and new experiences. Congratulations and keep on writing. I first came across the creator of Rachna Says nearly five years ago. Rachna had written a post on Women Empowerment for one of her client blogs. I read the post and was highly impressed. I did not know her but that didn’t stop me from requesting her if I could re-blog her post. After a few hours of thinking it through, she gave me permission. Eager to read more of her thoughts, I landed on Rachna Says and dived straight in. At Rachna Says I have found such perfect resonance to my own thoughts as to wonder if Rachna was a twin I lost a couple of births ago. Her common sense delights me. Her penchant for calling a spade a spade finds a perfect match with my own penchant to do the same. The issues she writes on are simple, everyday things that are the building blocks of our flawed lives. They are important and vital to the way we wish to live our lives. She has an uncanny ability to choose the perfect topic- whether it is parenting, relationships or our place in the world. More than anything else, I’m impressed and amazed at the consistency with which Rachna creates engaging content. She possesses one of the most desirable traits a blogger can possess- unrelenting regularity. Hats off to her passion and focus! All the very best to Rachna Says. Here’s to even more glorious years ahead. Happy tenth anniversary to your blog-baby and you, Rachna! I stumbled upon Rachna Says quite by chance and have been hooked to it since. Her writing is impeccable and it is very obvious that a whole lot of thought goes into each post specially the informative posts on finance and blogging. 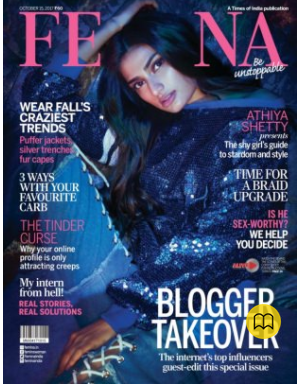 Which brings me to another thing, in a world where everyone is trying to hide their tricks Rachna has always shared blogging tips and her knowledge about fitness etc. through her posts. I find her informative posts very interesting but what keeps me hooked are her anecdotes about her life and her personal posts. They come straight from her heart and are a delight to read. In the world of blogging, we see many blogs start and then flounder, but Rachna Says continues to march on. This says a lot about Rachna’s dedication and discipline towards blogging. I wish Rachna Says a very fruitful journey ahead! 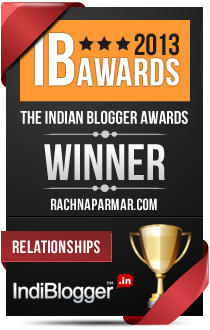 I have known Rachna since I started blogging. She was already a popular blogger then. I always found her writing very compelling and thought provoking. And she doesn’t stick to a theme or a genre. Her versatility is her USP. A fact that she is still going strong when most of us stopped blogging. Rachna is the goddess of multi-tasking and does it with aplomb. A decade of blogging and I’ve never seen her slacking off. No wonder her blog is considered one of the top parenting blogs in India. Keep writing and keep inspiring, girl! Rachna’s is probably the longest running blog that was among the first ones I ever read when I started blogging some 5 years ago. And while I have simply dropped off the bloggers radar, she continues to thrive with not just one blog but four as per my count! More power to Rachna and her skills to keep us her audience longing for more! I am also happy to say that I’ve had the privilege to being featured on her blog as a guest writer, too, so makes me even happier to see Rachna Says hit such an enviable milestone! Here’s to the next decade to spirited blogging! I have been reading Rachna for almost as long as her blog, ‘Rachna Says’. What amazes me is her 4Ds – dedication, dexterity, diligence and discipline. While I struggle to write one blog, she manages 4 of them plus a job and two kids who need all her attention. I have always been in awe of her multitasking skills performed to perfection. I wish more power to her distinctive pen that speaks with universal eloquence to everyone who is a parent, mother, sister or a daughter. Glad to be a part of your journey Rachna. 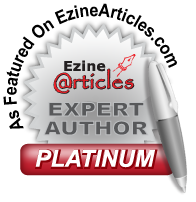 Rachna is one of the few bloggers who are consistent in their work. I’ve been reading her blog for the last 6 years. And there is always one or the other learning from her blogs posts. What I absolutely love about her is the way she balances her work and home life. She wings it like a pro. I’m in awe of her time management skill. Happy 10th anniversary, Rachna. May you achieve more success with each passing year. It is not at all a surprise that Rachna says has turned a decade old. It is one of the best blogs out there in terms of content, in terms of the value it provides and in terms of the variety of topics that you touch upon whether it is parenting, feminism or topics that you feel strongly about. What I really enjoy about your writing is the fact that you take a piece and you really pour your heart into it. That comes across even when you write a Sponsored post, and I feel that it is a talent and skill that many people can learn from. As you step into the next decade of Rachna says, I wish you all the best. I wish you great heights, more achievements and more success. Congratulations once again. I have been reading Rachna’s blog for about 6 years now. And I have known her in the capacity of a friend for about the same duration. What can I say, I look up to her. The one thing that stands out in her blog for me is how strong she is as a woman, a parent and an entrepreneur. Take any of her posts and you’ll see how straightforward and sorted she is in her thought process. I love that about her because she does what she thinks is right and is not here to please others. I can go on and on about her but I’ll stop here. You need to read her to know what I mean. And if you can do meet the woman behind this blog, you’ll come away learning something for sure. Happy writing, Rachna. Keep going! I have been reading Rachna’s blog for years now. I love the fact that she is balanced in her views, so very outspoken and a feminist too. I still remember a post where she spoke out to a teacher when she felt she (the teacher) had been unfair, I thought that was really brave. I enjoy posts where she talks about her sons and the challenges they face in school. What keeps me coming back is the fact that we share somewhat similar backgrounds and the same core values. I have been a long time reader of Rachna’s blogs, and the thing I love the most about her writing is her genuine, no-nonsense, straight-from-the-heart style. I also really admire the drive and tenacity with which she handles her blogs, freelance projects, and now her new entrepreneurial venture. I know it cannot be easy to juggle it all, and yet I see her rocking it, day in and day out! Which is why, on the 10th anniversary of her blog, I would like to take the opportunity to thank her for being an inspiration to me (and many others, I am sure), and also wish her many more such wonderful milestones in the future! Rachna Says is a place for everyone, I believe. For, you will find not just posts on finances, but also on parenting, pets, women and the society, and oh yes, humour, too! All you need to do, is visit her site. Rest assured you will not even realise where time flew by! I have visited her blog to read some particular post, but stayed back to read some more from other categories, too, and come back feeling entertained as well as enlightened! Rachna writes from her heart–like she is sitting right there, sharing her thoughts with you. But, most importantly, I like her fearless expressions and candidness. That’s what speaks a lot about her as a blogger as well as a person. She is my Hero!! Congratulations Rachna! 10 years is a big deal. You have an inspiring presence online. I admire your commitment and dedication. You’re proof that consistency and focus pay rich dividends in the form of a loyal community. Wishing you many more years of growth, accolades and happiness. Keep smiling. I am truly touched and overwhelmed with all the beautiful thoughts and words that my family, friends and blogging mates have shared about my blog and my writing. I truly cherish each one of them. I hope to continue writing because I enjoy it so much. And a warm thank you to all my readers. Here’s to the next decade. Yes, l remember that, Bhagya! Thank you for being a part of this wonderful journey. Here’s to many more fulfilling years of blogging. Thanks dear Naba for your support and love always. Congrats Rachna on turning 10! I would like to add that I love your ‘no-nonsense’ and practical approach to parenting. Of course, I love your cooking recipes too. Thanks Lata for sharing that feedback and for your wishes. Congratulations again Rachna. Hope to see you on this space always. Congratulations once again girl! Your success fills me with immense satisfaction and joy! Hugs! Congratulations Rachna, may the coming years see more and more of your writing and spinning of words. Your journey as a mom who quit her job, to that of an enterprising blogger & a proud entrepreneur is very inspiring. Reading your blogs has always been a delight. They make me read them till the end even if I’m pressed with time. So when you publish your posts & I get a notification, I choose to read it full instead of bookmarking it for another time no matter what. It’s indeed a pleasure to read your content; even if it’s about sensitive things. You’re a role model & I wish you all the best! Kudos to your rocking family & friends for their endless support. Specially Siddharth & Gautam! You guys must be so proud of each other. So proud that you’ve reached the 10th year of running your blog. Congrats dear! Your dedication and passion for whatever you do in life will help you and Rachna Says to scale newer heights and collect more awards and accolades. A big warm hug to you and your daughter! Congratulations!! That’s a huge feat. So wonderful to read all the testimonials, especially of your kids. It’s so sweet. They all resonate my feelings. I love how informative and inspiring your posts are… you deserve all the admiration and awards. Wish you many more years of awesome blogging. ‘Rachna says’ is an immensely popular blog with great regularity,covering a wide of subjects that are st once topical and of interest especially to young readers. Rachna writes her well researched posts in good style and with clarity. Rachna being a prolific blogger,I must confess i am not able to keep pace with her frequency and miss reading some. Ten years is an admirable milestone and a long time to keep the blog interesting and its readership growing.My hearty congratulations!! Congratulations, dear! 10 years is a long time to be blogging continuously…and you did it! ? What everyone has said is true…I am glad to have run into your blog and have met you as well..here’s to another decade of blogging! Congratulations again, Rachna! I loved reading this post, especially thoughts from your family, and the young ones. Here’s wishing you many many more wonderful years of blogging success! A big big Congratulations. Your writing always have something to learn ,to improve. I have been thinking from quite sometime about how you are multi-tasking so many things. Kids ,home ,coco then your brand coco ,cooking blog and this. More power to tou! Congratulations Rachna for completing 10 beautiful years of blogging. Recently I have started reading your blogs and I really enjoy reading your blogs . Congrats, Rachna! This is a huge milestone and I’m so proud of you for getting here. It clearly is your hard work, dedication and patience that brought you here. 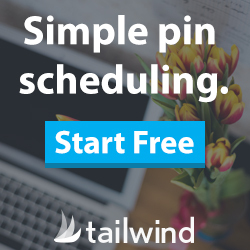 I know that this is not the only blog you run, so hats off to your time management skills. Rachna Says has been about versatility for me. You talk about so many things and being a parent or a non-parent doesn’t matter anymore. I love your work here and on your other blogs too. You have been an inspiration in so many ways and that’s enough reason for me to come and visit post after post. Many congratulations on the decade, Rachna! May you continue to rise. More power to you. Soumya recently posted…How Often Do You Appreciate Someone? My heartiest congratulations , its really not an easy task to continue writing for long ten years(even five years), your capability of writing, your thinking mind and tenacity, all these reflects now in a profound way. Have a nice journey ahead. Here’s to many more milestones and I’m honoured that you featured my thoughts about the blog. Congratulations, Rachna! 10 years is huge and pretty awesome too! Love reading your balanced and mature thoughts here. Here’s to many many more years of Rachna Says! Cheers! A very happy anniversary to your baby, Rachna. A decade later, one can truly appreciate how you have gone from strength to strength reflected in the several awards, accolades and love showered by family and friends in this post. Your words to me have always reflected the tolerant, balanced, supportive, honest and beautiful person that you are – may your journey be blessed with happiness, joys and success for all the many years to come! Congratulations and happy blogiversary to you and Rachna Says. That’s a lovely compilation. I don’t remember when exactly I started reading your blog but I love how you express your thoughts so beautifully, and it’s a pleasure to read your perspectives. Here’s to many more wonderful years ?